As mentioned last week in our blog post talking about augmented reality, we will be taking a closer look this week at virtual reality. We all know that we have five senses: taste, touch, smell, sight and hearing. Everything that we know about our reality comes by way of our senses. So, if you present your senses with made-up information, makes your perception of reality change. This means that you are presented with a version of reality that isn’t really there. However, from your perspective, it would feel real. This is called virtual reality (VR). This technology is becoming more and more popular in today’s supply chain practices and focuses on the consumer, as a part of the experience. VR is an interactive computer-generated experience that takes place in a simulated environment. You are able to interact in environments in a real physical way. The most widely used and common examples of VR, are through headsets that take you through different experiences. The headsets create realistic images, sounds, and other sensations, which simulate the player’s physical presence. Therefore, wearing the headset gives the user the ability to walk and look around in this virtual space, when in reality they are walking around in their living room. How does Virtual Reality help your business? 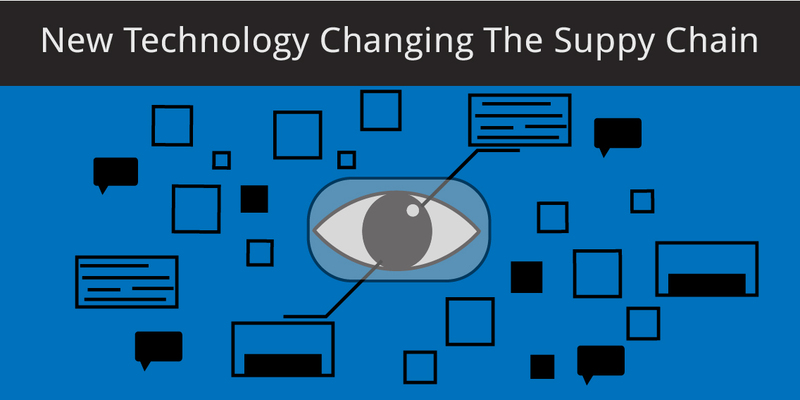 These new and emerging technologies are becoming a vital component to many businesses. It has the power to boost customer service, reduce operating costs, help with security and regulations, and improve the day-to-day processes. If you want to continue to get ahead of your competitors, you should put VR into practice, in your workplace. For example, VR works instantly and is used at the same time by multiple employees. Once understanding the virtual space, this platform helps speed up interactions, and gives manufacturers and suppliers insight into product and process development. Below are some ways VR is implemented to enhance your company’s practices. Improving Customer Service: Customers can enter your business virtually, while being able to connect with all products. This provides companies, especially retail, a huge opportunity to take their business to the next level. Customers will now have a new way of interacting with products, from the comfort of their own home. Collects Important Data: VR tracks and analyzes all actions, moves, and product interactions, at all times. The benefit for your business is that you will understand how your customers think and discover the products they are interested in. This gives you the opportunity to provide custom offers, based on their preferences. In fact, VR turns every experience into data for you business. Improving Communication: Using VR, discussions surrounding supply chain and logistics, throughout your business, are improved. Each employee has little to no context about certain problems. As a result, each person could look directly at the problem in a virtual reality. This results in an engaged and valuable discussion. Showcasing Products and Enhancing Pay Processes: VR can help make a purchase decision immediately. Customers can experience a lifelike demo and see a visualization of certain products, allowing your customers to gauge the value of the items. For example, using VR, you can create a 3D landscape design for your customer. This gives them a more realistic idea of what the finished product will look like, as opposed to a 2D graph. Supplier Relationship Management: Maintaining a relationship and ensuring that you know where all of your products are coming from, is made easy with the help of VR. For instance, you could “visit” your supplier’s warehouses by using VR. Using VR makes negotiating with your suppliers, bidding in auctions, and signing contracts, easier. There are some businesses that are already taking advantage of VR and have had a lot of success. Volkswagen uses MARTA, a service manual that helps complete a repair job using VR technology. DHL improved its warehouse efficiency by using VR in order picking through scene recognition of space. As a result, this helped them choose the right size packages and placing them on the unloading site well before physically touching them. Audi allows customers to use VR headsets to configure their new Audi and experience their cars virtually, in real time. To make your business more efficient, and to get ahead of competitors, you should look further into these new emerging technologies. VR has the potential to change the way business is conducted. As with any new business attributes, you need to ensure that this new technology matches your organizations visions and goals. Take the time to select, design, apply, and integrate your technology into your company. To learn more about how Virtual Reality can help your Business, schedule a Demo today!